Derek has been a client of mine for a number of years and achieves an excellent high level of fitness.He is very inspirational and a great role model always keeping himself challenged and ready to have a go at any new exercise programs I create for him. Our sessions are always fun and I can’t wait to start planning for his next challenge. 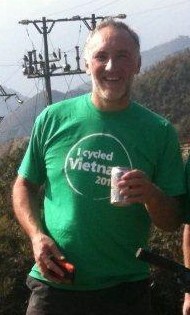 Well done Derek for your successful Hanoi challenge.